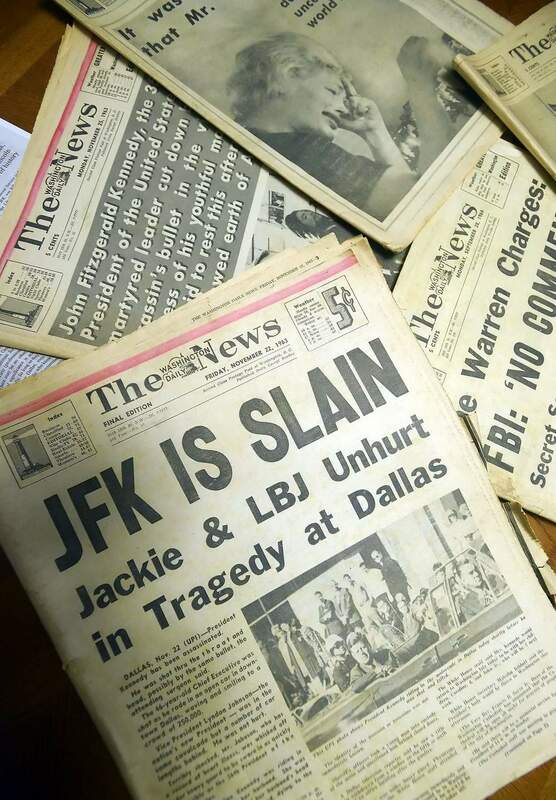 Fifty years ago America, like so many other countries, lost a promising young leader to hate and senseless violence. Kennedy was a leader who hoped for peace because he had seen the terrible face of war. He was also a man who found some small part of that peace at sea. When time allowed, which was far too seldom, he left the White House and sought time sailing. There he was away from the stress of decisions that affected millions and from the pain that dogged his days. Who shot him and why is still debated. Was it Cuban terrorists, was it the Mafia, was it a lone gunman? We may never know. But the singular truth remains that such violence, in the end, solves nothing and only leaves behind tears and fears and a thousand unanswered questions. As America pauses and remembers that horrid day that shocked and shattered the nation, it is so easy to forget the man, a man sailing with the wind in his face, seeking answers he was never allowed to find. Let's not forget he was not a monument or a demi-god - just a person daring to seek sane solutions in a world that seems to offer few. 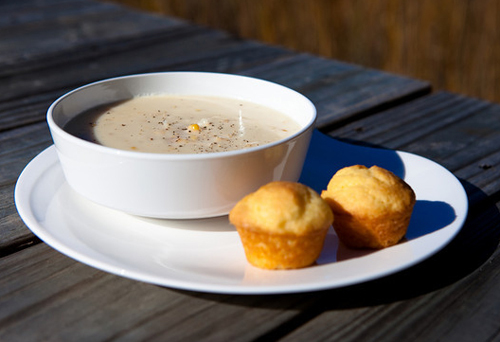 Often after he finished sailing, he enjoyed a warming bowl of chowder made in the New England style. Later, when his duties as president keep him sitting painfully hour after hour behind his large oak desk in the Oval Office, he would often send down to the White House kitchen for his favorite chowder and continue working long into the night, still guiding the ship of state. Simmer haddock in 2 cups of water for 15 minutes, drain and reserve broth. Sauté diced pork until crisp, remove and set aside. Sauté onions in pork fat until golden brown. Add fish, potatoes, celery, bay leaf, salt and pepper. Pour in fish broth plus enough boiling water to make 3 cups of liquid. Add milk and butter and simmer for 5 minutes. Serve chowder sprinkled over pork dice. Posted on November 23, 2013 by Ana Kinkaid and filed under Cooking, Courage, Creativity, Cuisine, Culinary History, Food, Great Britain, Leadership, Presidents, Recipes, Soup, White House and tagged Dallas Go to the Moon Speech Kennedy Assassination Kennedy Conspiracy Theories Kennedy's Accomplishments Kennedy's Favorite Food New England Style Chowder Oval Office President John F. Kennedy Resolute Desk Sailing.